What went down at the inaugural rise art prize awards? 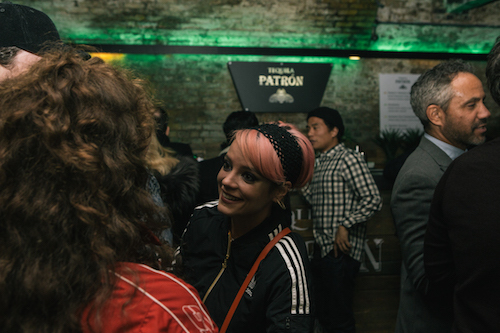 Watch a taster of our spectacular exhibition launch party and awards ceremony at House of Vans London. Come see the artworks of our 25 finalists in person. Join us for a guided tour of the exhibition led by one of our Rise Art Curators. Learn about the concepts and processes behind the artworks on display and hear from one of our finalists themselves about their Rise Art Prize journey. Taking place on 15th and 22nd February. How is new technology shaping the future of art? How are new technologies like VR, AR and AI changing the way we discover, experience and create art? Hear what the experts in art and tech have to say at our art-tech panel discussion on 22nd February. Panellists include the Head of Digital at Tate, Hilary Knight, and the Director of VIVE Arts & Culture, Victoria Chang. You'll also get to try out VR and AR headsets on the night. Doors open at 6:15pm. Curator tour at 6:30pm. Panel to begin around 7pm.